The better answer for crawl space repair is a vapor barrier system. 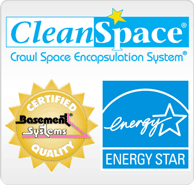 Call or e-mail Mountain Crawl Space, Inc. for a free crawl space quote! We service Loma, Eckert, Paonia, Crested Butte, Austin, Collbran, Crawford and many nearby areas in Colorado.